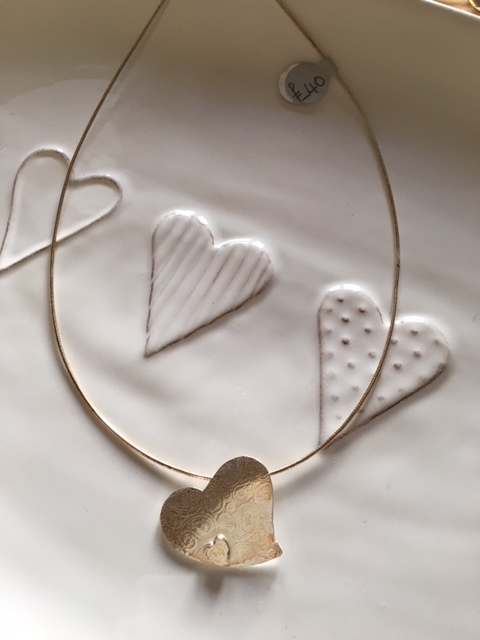 A sideways heart delicately textured with a paisley pattern with a small polished heart attached. The pendant comes with an omega chain and the larger heart measures approximately 3cms x 3 cms. The pendant is hallmarked with my makers mark by the London Assay Office.